All around the world thousands and even millions of women bake challahs (חלות) for shabbat (שבת).The baking of the challah has always been a Jewish tradition, and the meaning behind every ingredient is important. Playing a big role in why all challah recipes in all parts of the world have the same five basic ingredients. 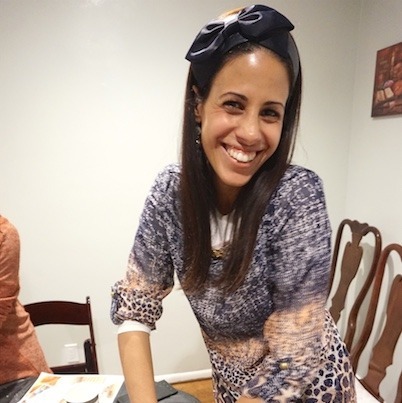 In the AishLIT December challah bake Rebbetzin Shira Melul went into a few details regarding the ingredients and the tradition as a whole. Water – The unifying element. Without the water and liquid in the dough you will not be able to have dough. The power of blessing and prayer connects to being unified. Yeast – The growth element. It allows the dough to rise and have air and as a result bringing all the ingredients together. In Hebrew the word yeast is shmareem (שמרים) which comes from the root shomer (שומר), meaning protect. The power of blessing and prayer connects to asking hashem (השם)for protection. Sugar – The sweet and positivity element. The power of blessing and prayer connects to asking to have good and also the ability to see the good in life. Oil – The enrichment element. Oil brings the ingredients together and gives the dough the nice texture and its beautiful shine. The power of blessing and prayer connects to abundance and togetherness. Salt – The balance element. Used in the right amount salt helps keep the dough with the right flavor of not too sweet and not too salty. The power of blessing and prayer connects to having the right balance in life. As Rabanit Yemima Mizrachi (רבנית ימימה מזרחי) explains the world was created using four elements. Those are, dust, fire, air, and water. Through that when we bake challahs we connect to the way that the world was formed. When we make challah we use those four elements. The burning of the Hafrashat challah (הפרשת חלה) reminds us of the destruction of the temple. 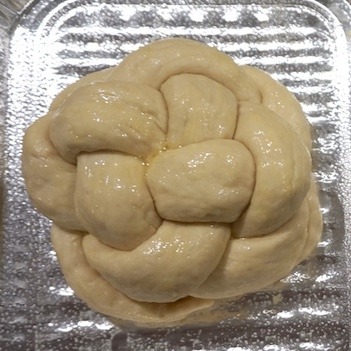 The whole process of challah baking highly connects to the holiness of shabbat and Judaism as a whole. As Rabbanit Mizrachi explains, the four elements also connect to the four holly cities of Israel. 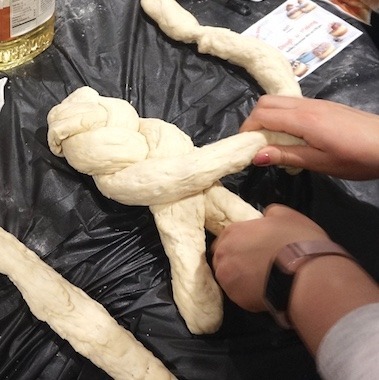 This entry was posted in Jewish Living and tagged air, bake, bread, challah, dust, fire, Jew, jewish, judaism, oil, salt, sugar, tradition, water, yeast. Bookmark the permalink.